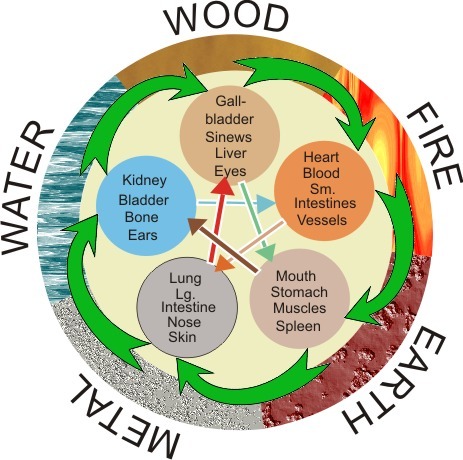 The Five Elements represent the cycle of elements of Fire, Earth, Metal, Water and Wood. Is is an underlying principle in Taoist based therapies. Dr Bernadette Carelse has also studied a range of holistic therapies, specialising in Zen Shiatsu and Chi Nei Tsang. Zen Shiatsu is a therapy developed from an understanding of traditional Chinese medicine, including knowledge of meridians and acupressure points, anatomy, physiology and aspects of Zen Buddhism. It can be helpful for alleviating the symptoms of stress and promoting well-being. The experience is very much like an induced state of mindfulness. Non-rhythmic changes in pressure induce a state of calm, relaxed awareness of the body which may help support the body in healing itself. Dr Carelse qualified in this therapy in 1998. Chi Nei Tsang is a Taoist therapy that focuses on the internal organs of the abdomen, and helps to sooth stress related symptoms and relax and deepen the breathing. Dr Carelse specialised in this therapy in 2001. Dr Bernadette Carelse has training, skills and experience in other therapies, including Reiki (qualified in 1997), Reflexology (2000) and Aromatherapy massage (2001). She also trained and worked as a Shiatsu tutor at the Zen School of Shiatsu, London from 1999 to 2013. For those wanting to learn Shiatsu sessions are available, for complete beginners to advanced students who are preparing for assessment. Contact Holistic Education for more information.